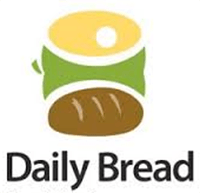 Daily Bread is committed to fighting to end hunger in our communities by: providing food and resources to hungry people; mobilizing greater support, involvement and action; and creating social change to reduce poverty through research, education and advocacy. At St. Mark’s, several of our members volunteer their time on Wednesdays to assist with preparing and serving a full-course meal to approximately 150-200 people every week at Grace Anglican Church, Brantford. In addition, our members donate money over the course of the year to provide $20 gift cards for those in attendance at the Christmas Dinner. Over the past few years, we have provided about 250 cards per year. At St. Mark’s, we encourage our members to donate food and add it to our permanent collection containers at the back door of the church. 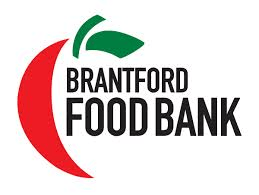 Every two weeks, several hundred pounds are delivered to the Brantford Food Bank. Volunteers are usually responsible for delivering the food twice per year. Each Sunday, a jar was placed at the back of the church to collect coins and/or paper currency from those attending worship services to provide financial assistance as deemed necessary by the Parish Council. A new project is identified every six months. 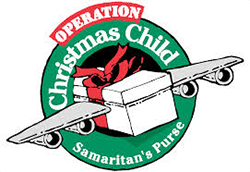 St. Mark’s serves as the regional collection centre for the Samaritan’s Purse Shoebox Programme. Along with New Covenant Church, Gospel Lighthouse and 34 local churches and groups, we collect and send off approximately 3000 boxes to the sorting centre in Cambridge prior to Christmas. Each shoebox is filled by Canadians with hygiene items, school supplies, toys and candy, and is given to children regardless of gender, race or religion. We are indebted to our parishioners who fill shoeboxes and come in to assist volunteers from other churches with packing the shoeboxes into cartons to make them ready to ship during collection week. Also, several volunteers from St. Mark’s agree to be on call when the transport truck arrives. The Brantford Christmas Baskets Programme provides food and toys to hundreds of local families over the holidays. As a parish, we provided turkeys, toys and food for those less fortunate than us on Christmas Day. Our mitten tree is also covered in mittens, scarves, toques and socks; the basket by the Information Table is regularly filled with colouring books, crayons and quiz/activity books. Some of our members respond to the call to help pack and deliver the boxes. 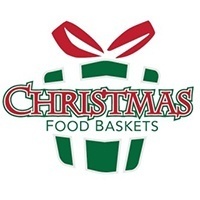 For those experiencing difficulty and wish to receive Christmas Baskets support, registration occurs in November. You are encouraged to call (519) 751-HELP (4357) for an appointment. The community engagement project was born out of our annual visioning workshop in 2015 that highlighted our commitment to children and young families. 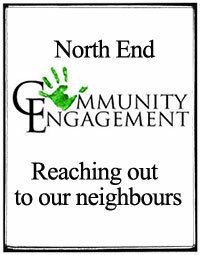 We welcome new ideas and ways to connect with families in the north end and offer our support. In response to the Truth and Reconciliation Commission’s Calls to Action issued in June 2015, we convened a Sacred Circle in October of the same year with the Diocesan Bridge Builders network. Since the workshop, the Brantford Anglican Sacred Circle continues to meet several times a year. Our goal is simply to raise awareness of issues confronting our First Nations sisters and brothers with a view to building relationship particularly with the Six Nations communities. We listen to speakers, watch documentaries and host events. 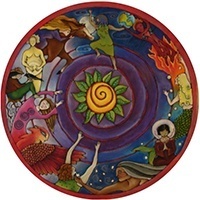 We welcome anyone who is interested in better understanding our Indigenous sisters and brothers. 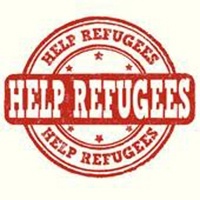 Brant Anglicans and their friends began meeting in November 2015 to explore the possibility of welcoming a Syrian family relocating to Canada. We were delighted with the arrival of Khaled and Nour, their children Walid and Alisar, and Khaled’s mother Nawal in July 2016. The team is busy helping the family settle in to life in Brantford and assisting with a number of tasks. There may be opportunities to provide additional support for them. We welcome any expression of interest, even if their needs at the time of enquiry are being met adequately. The term ‘outreach’ is used to describe a wide range of activities, but almost always produces the same result: spreading good throughout the community. There are numerous opportunities for our parish family to make a difference in the lives of those in our community and beyond who need support. 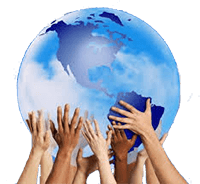 By offering a variety of options to participate in outreach projects, we provide choices for our members which allow them to participate at a level that best suites their lifestyle. Some supports include: postage stamps for the Leprosy Mission, used magazines for local nursing homes, used eyeglasses for delivery to Africa, empty ink cartridges, empty milk bags to make sleeping mats, used pop tabs for the Legion to purchase wheelchairs and personal care products and clothing for Nova Vita.